One of my most favorite wedding details are the letterpress invitations (and anything letterpress really, I would say). I feel like they are elegant, timeless and just one of those things that you just want to keep forever because they’re oh, so pretty! 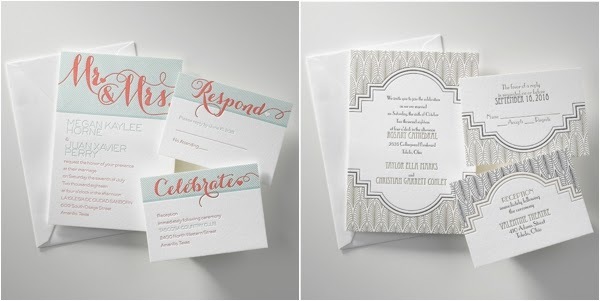 Today I will be sharing a little bit about Invitations by Dawn, a wedding invitation company that has been around for over 30 years – so you know that you’ll be in good hands when you get your invitations from them. Ordering invitations can be a daunting task for some brides because there are just so many options out there! I know that when I was a bride planning my wedding, I went through 4-inch thick books of invitation samples and, while I eventually found one that made my heart happy, it was a little bit stressful because I didn’t really have any help from a professional. At Invitations by Dawn, there are friendly and knowledgeable consultants who want to make the process of selecting your invitations easy by offering invitation etiquette (you know, do you put your parents’ names on the invitation or not – that kind of stuff) and assembly guides. 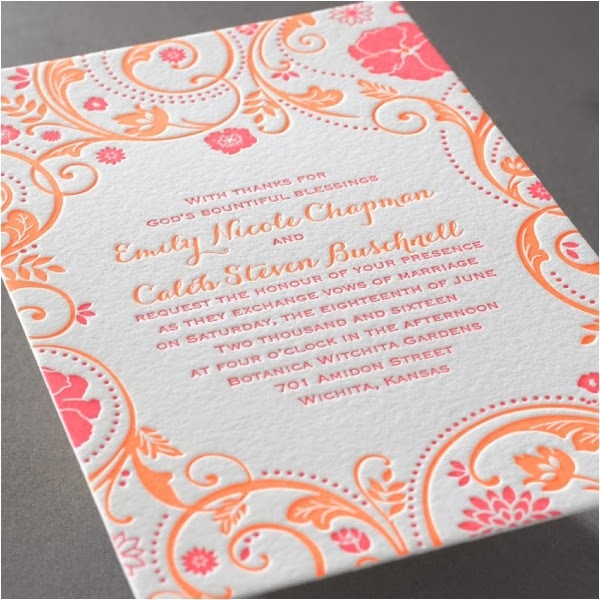 In addition to all that goodness, they offer a large variety of invitation styles to choose from! Are you planning an elegant ballroom affair? There is an invitation style for you. Are you planning an intimate backyard bash? You’ll find something too. There is something for every bride with every style from affordable to high-end styles. Oh, and did I mention that they even offer samples so you can see them before you make a purchase? Amazing, right? 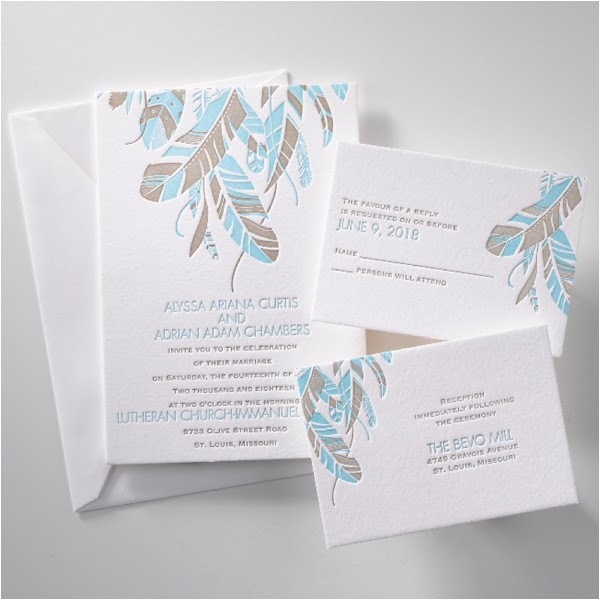 Now about the Letterpress Collection: Invitations by Dawn uses the best heavyweight paper that is 100% cotton. If you’ve ever seen and held a letterpress invitation you instantly get that luxurious and rich feeling (total swoon-worthy). In case you don’t know how letterpress invitations are created, here is a little snippet of how they’re processed: “Letterpress is the fine art of a historical printing process perfected over centuries. It is considered one of the finest forms of printing available. 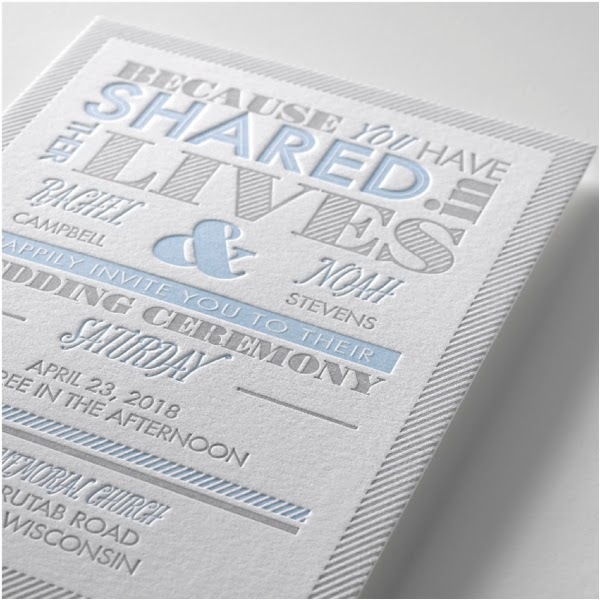 Today, letterpress wedding invitations begin as digital designs, which are sent to film as a negative and then exposed to a polymer plate (the modern-day "metal" plate). Individual sheets of paper are fed through the press. The plate applies pressure to the paper creating a heavily impressed image, which leaves the design and wording crisp and sharp in appearance.” Doesn’t the process itself sound luxurious? 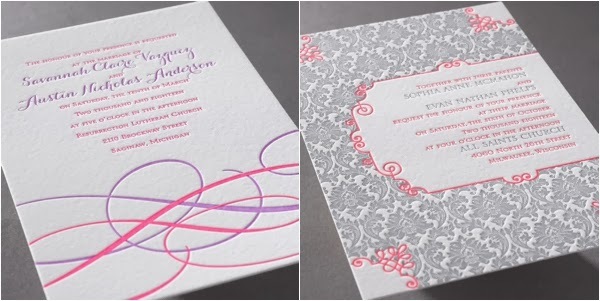 One of the great things about Invitations by Dawn is that every design is customizable so that it fits and matches your wedding style or theme. You can select up to 2 different colors at no additional fee. You also have the option to customize fonts and wording! In addition to that, all invitations come with 100% cotton inner and outer envelopes at no additional fee. Amazing, right?